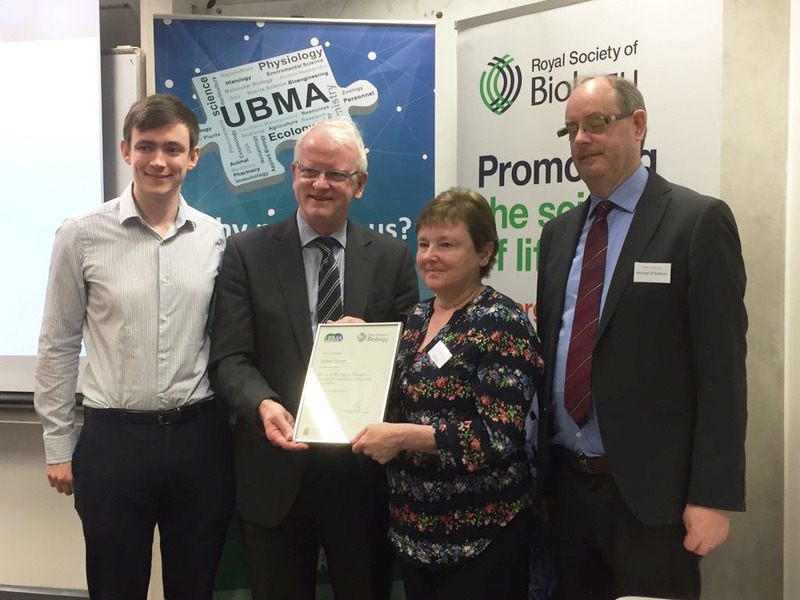 On Thursday 19 April Gill Scott, School of Life Sciences (SLS) Teaching Laboratory Manager, was awarded the Higher Education Bioscience Technician of the Year Award at the University Bioscience Managers’ Association (UBMA) Annual Conference at Imperial College London. The competitive award, presented by Professor James Stirling, recognises the superb work of technical staff which underpins the bioscience research and teaching at all levels in universities across the UK. The judges were incredibly impressed with the quality and breadth of Gill’s technical work. She received a £400 prize and a free year of Royal Society of Biology membership. Gill said "I was at Warwick between 1978 -91, arriving as a recent graduate, and again after a career break between 1998-2018". Over the years Gill has made a tremendous contribution to the School’s lab-based teaching and outreach activities. In 2018 Gill was instrumental in SLS delivering the International Biology Olympiad practical exams. Gill retired at the end of April and we wish her all the best for the future. Photo is courtesy of UBMA.